This page is to prepare your U.S. Citizenship Application (Form N-400). Beware of Immigration Scams: It came to our attention that there are a lot of companies charging between $99.00-1600.00 (680.00 processing fee not included), while the actual preparation price with the US Immigration Organization is $680.00. Important: You cannot apply for U.S. Citizenship in local USCIS office. You must submit your application by mail. We are very pleased that you want to become a U.S. citizen. The United States is a nation of immigrants. Throughout our history, immigrants have come here seeking a better way of life and have strengthened our Nation in the process. For more than 200 years, the United States has remained strong because of our citizens and the common civic values we share. Deciding to become a U.S. citizen is one of the most important decisions in a person’s life. If you decide to apply for naturalization, you will be showing your permanent commitment to the United States. You will also be showing your loyalty to its Constitution and its people. When you are naturalized, you agree to accept all of the responsibilities of being a citizen. You agree to support the United States, its Constitution, and its laws. In return, you are rewarded with all the rights and privileges that are part of citizenship. We welcome your interest and hope you will read on to learn more about naturalization. Naturalization is commonly referred to as the manner in which a person not born in the United States voluntarily becomes a U.S. citizen. • Voting. Only U.S. citizens can vote in Federal elections. Most States also restrict the right to vote, in most elections, to U.S. citizens. • Bringing family members to the United States. Citizens generally get priority when petitioning to bring family members permanently to this country. • Obtaining citizenship for children born abroad. In most cases, a child born abroad to a U.S. citizen is automatically a U.S. citizen. • Traveling with a U.S. passport. A U.S. passport allows you to get assistance from the U.S. government when overseas. • Becoming eligible for Federal jobs. Most jobs with government agencies require U.S. citizenship. • Becoming an elected official. Many elected offices in this country require U.S. citizenship. • Showing your patriotism. In addition, becoming a U.S. citizen is a way to demonstrate your commitment to your new country. • Serve the country when required. U.S. citizens have many responsibilities other than the ones mentioned in the Oath. Citizens have a responsibility to participate in the political process by registering and voting in elections. Serving on a jury is another responsibility of citizenship. Finally, America becomes stronger when all of its citizens respect the different opinions, cultures, ethnic groups, and religions found in this country. Tolerance for differences is also a responsibility of citizenship. When you decide to become a U.S. citizen, you should be willing to fulfill the responsibilities of citizenship. We hope you will honor and respect the freedoms and opportunities citizenship gives you. At the same time, we hope you become an active member of your community. It is by participating in your community that you truly become an American. Which forms to use for Naturalization? Naturalization is how immigrants become citizens of the United States. If you wish to apply for naturalization, you should use the “Application for Naturalization” (Form N-400) – click here to start preparing your application. If you want to apply for citizenship for a child who is under 18 years old, you should use the “Application for Certificate of Citizenship” (Form N-600) – click here to start preparing your Application for Certificate of Citizenship (Form N-600). To start your U.S. Citizenship Application preparation by naturalization, please click here. • At least 2 of those 5 years in the United States were after your citizen parent’s 14th birthday. Your record of birth abroad, if registered with a U.S. consulate or embassy, is proof of your citizenship. You may also apply for a passport to have your citizenship recognized. If you need additional proof of your citizenship, you may file an “Application for Certificate of Citizenship” (Form N-600) with USCIS to get a Certificate of Citizenship. To start your Application for Certificate of Citizenship preparation, please click here. A If you are not a U.S. citizen by birth or did not acquire/derive U.S. citizenship automatically after birth, you may still be eligible to become a citizen through the naturalization process. Eligible persons use the “Application for Naturalization” (Form N-400) to apply for naturalization. Persons who acquired citizenship from parent(s) while under 18 years of age use the “Application for Certificate of Citizenship” (Form N-600) to document their citizenship. Once you start your application, the eligibility test will ask you multiple questions BEFORE you could actually begin your application. Based on your responses, the system will give you a result if you are eligible. 5. Can I prepare my Citizenship Application (Form N-400) online? Yes, you can. Click here to start. 6. If I have been convicted of a crime but my record has been expunged, do I need to write that on my application or tell a USCIS officer? • Any countervailing evidence, or evidence in your favor concerning the circumstances of your arrests, and/or convictions or offenses that you would like USCIS to consider. Even if you have committed a minor crime, USCIS may deny your application if you do not tell the USCIS officer about the incident. Note that unless a traffic incident was alcohol or drug related, you do not need to submit documentation for traffic fines and incidents that did not involve an actual arrest if the only penalty was a fine less than $500 and/or points on your driver’s license. Once you complete your preparation of “Application for Naturalization” (Form N-400) online, upon the final review of the information you have entered, and the payment, you will electronically receive the checklist of things you need to complete, as well as detailed instructions. Remember to make a copy of your application. Do not send original documents with your application unless the Document Checklist included with this Guide states that an original is required. Always make copies of documents that you send to USCIS. 9. What if I am scared to send the application, because I think I might have made minor mistakes in it? US Immigration Organization Application processing specialist will review the application before submitting to processing center. If application specialist notice a mistake, it will be fixed. If application specialist the help will be needed, you will be contacted by mail or telephone number on the application. Please note: application fees are not refundable. The review option is highly recommended, but not required. 10. I want to prepare for my Citizenship interview, and demonstrate loyalty for United States, what can I do? You can always receive a free preparation kit in the fingerprinting location. If you prefer to learn even better, you may order US Citizenship Preparation DVD for $60.00 – it includes video scenarios of actual interviews, what interviewers are asking of applicants, how to dress, what to expect the interview day, and advises. If you only need to prepare for US History exam, you may request US Citizenship Test Audio CD for $39.95. The covered subjects are: The Branches of the Government , Supreme Court and the Executive Branch, The President and Head Executives, The Constitution, Pilgrims, Colonies and the Declaration of Independence, Study Guide: Revolutionary War, Civil War, Abraham Lincoln, Sample Questions and Answers for the new U.S. Citizenship Test. There are 100 civics questions on the naturalization test. During your naturalization interview, you will be asked up to 10 questions from the list of 100 questions. You must answer correctly at least six (6) of the 10 questions to pass the civics test. After USCIS receives your application, the fingerprinting letter will tell you where you should get fingerprinted. 13. 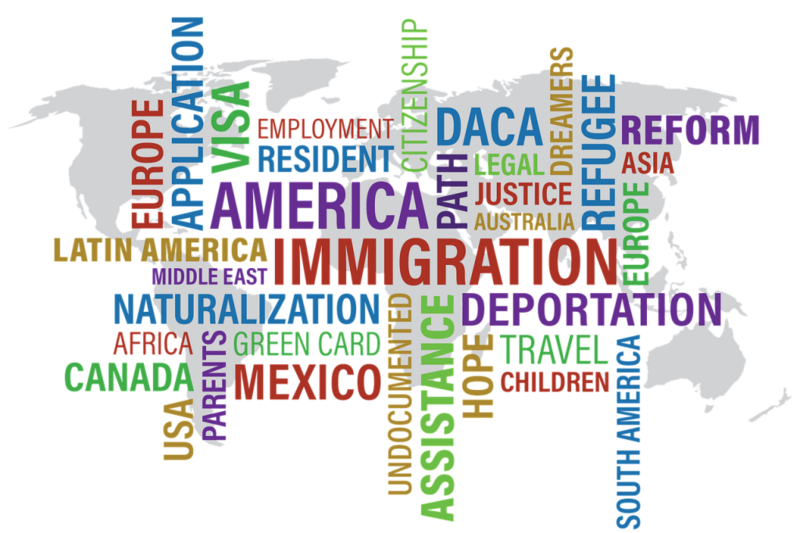 Can I find out the status of my naturalization application with US Immigration Organization? You may check the status of your naturalization application by visiting www.usaimmigrationsupport.com under check my case status or by calling Customer Service at 1-866-558-3334. Please note, a fee of $50.00 applies. 14. What if I cannot go to my scheduled interview? AIt is very important not to miss your interview. If you have to miss your interview, you should write the office where your interview is to be conducted as soon as possible and ask to have your interview rescheduled. Rescheduling an interview may add several months to the naturalization process, so make all attempts to attend your original interview date. If you miss your scheduled interview without notifying USCIS, it might end up “administratively close”. If your case gets closed because you missed your interview, you will get a notification from USCIS at your last address of record. Unless you contact USCIS to schedule a new interview within 1 year after we close your case, your application will get denied. A It is important that USCIS has your most current address. If USCIS does not have it, you may not receive important information. For example, USCIS may not be able to notify you about the date and time of your interview or about additional documents you may need to send or bring. If you move after filing your “Application for Naturalization” (Form N-400), click here to Change your Address online on your pending Form N-400. Every time you move, you are required by law to inform USCIS of your new address. You must file the Form AR-11 within 10 days of your move. You should also notify the U.S. Postal Service of your new address to help ensure that any mail already on its way may be forwarded to you. 16. Can I change my name when I naturalize? Congress did not give USCIS legal authority to change a person’s name when that person naturalizes. For more information, you may want to Download Name Change Guide. 17. 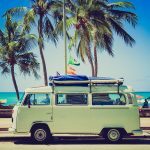 Can I reapply for naturalization if USCIS denies my application? In many cases, you may reapply. If you reapply, you will need to complete and resubmit a new Form N-400 and pay the fee again. You will also need to have your fingerprints and photographs taken again. If your application is denied, the denial letter should indicate the date you may reapply for citizenship. If you are denied because you failed the English or civics test, you may reapply for naturalization as soon as you want. You should reapply whenever you believe you have learned enough English or civics to pass both tests. 18. What do I do if I lose my Certificate of Naturalization? What do I use as proof of citizenship if I do not have my certificate? You may get a new Certificate of Naturalization by submitting an “Application for Replacement Naturalization/Citizenship Document” (Form N-565) to USCIS. You may request Form N-565 by clicking here. Submit this form with the appropriate fee to the Service Center as provided in instructions. You will receive instructions upon completion of online application preparation. 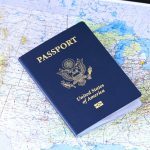 If you have one, you may use your U.S. passport as evidence of citizenship while you wait for a replacement certificate. It is strongly recommended that you apply for a passport as soon as you become a citizen. You may apply for U.S. Passport by clicking here. 19. If my Permanent Resident Card expires while I am applying for naturalization, do I still need to apply for a new card? If you apply for naturalization 6 months or more before the expiration date on your Permanent Resident Card (formerly known as an Alien Registration Card or “Green Card”), you do not have to apply for a new card. However, you may apply for a renewal card if you wish by using an “Application to Replace Permanent Resident Card” (Form I- 90) and paying the appropriate fee. If you apply for naturalization less than 6 months before the expiration date on your Permanent Resident Card, or do not apply for naturalization until your card has already expired, you must renew your card.